"President Putin told me... he had undertaken several initiatives on the subject of LGBT people in Chechnya", said Emmanuel Macron. Emmanuel Macron said he would be "vigilant" on the issue. 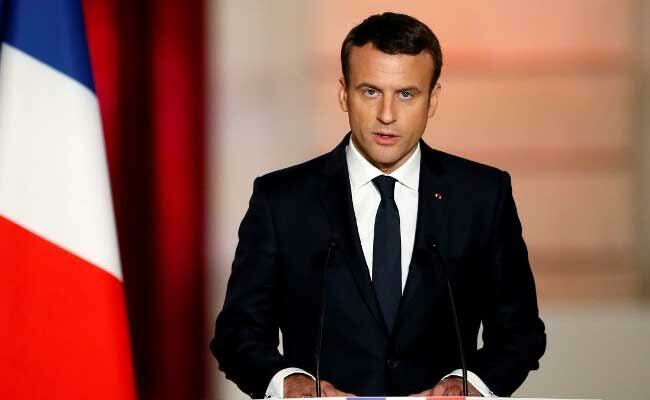 Versailles, France: Emmanuel Macron said Monday that Russian President Vladimir Putin had promised "the whole truth" about accusations of a crackdown on gay men in Chechnya, as the French president said he would be "vigilant" on the issue. "President Putin told me... he had undertaken several initiatives on the subject of LGBT people in Chechnya with measures aimed at establishing the whole truth about the activities of local authorities," Macron said at a press conference with Putin after talks in Versailles.